Based in Arnold, Nottingham. 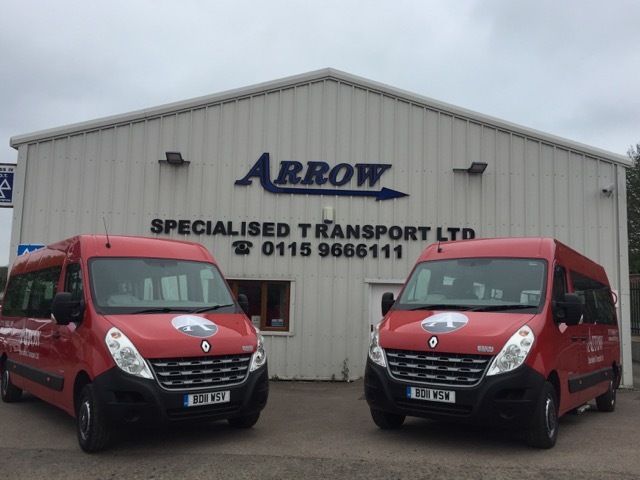 Arrow Specialised Transport operates a fleet of specially adapated vehicles which can provide a range of services to those in need of individual transport solutions. All vehicles are fully equipped to cater for a range of clients including those in wheelchairs or with restricted mobility. Vehicle access is available through the use of rear tail lifts. Drivers are experienced, fully trained, have professional qualifications and are fully vetted and insured. Passenger care assistants can also be provided on any journey should this be required, Assistants are first aid trained and hold NVQ level 2 certification. The company operates in Nottinghamshire and neighbouring counties, but also operates nationally, endeavouring to provide quality of service and reliability at all times. Should you require our assistance please either call us on 0115 9666 111 or Click here to use our contact form.